I woke up entirely too early on a Saturday morning. After mustering the strength to get out of a warm, cozy bed and take the dog out, I naturally checked to see if A.J. Ellis and the Dodgers came to a contract agreement. Update: Sherman tweeted he had it wrong and Ellis is set to make $3.55 million as his base salary, plus incentives. Ken Gurnick had that number in an earlier tweet. Good. 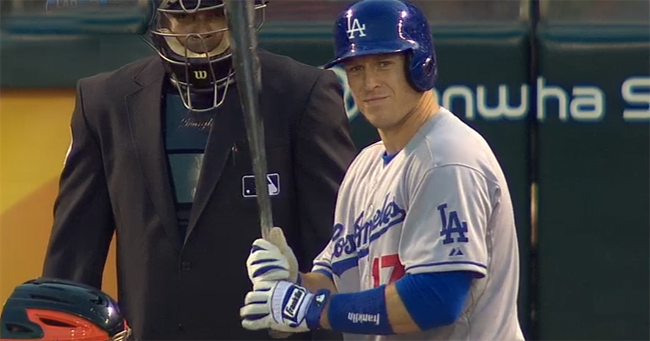 The Dodgers and Ellis avoided the none-too-pleasing process of a salary arbitration hearing. The midpoint was $3.8 million, so this is a “win” of sorts for the Dodgers. It isn’t like they’re hurting for money, but there was no way Ellis was going to get a 130 percent raise from his 2013 salary ($2 million), especially since players last year received, on average, a 119 percent salary increase last year. Despite the Dodgers’ riches, players must still be paid what they’re worth, otherwise the system gets unbalanced. Ellis had a down year (.238/.318/.364) compared to his breakout 2012 campaign (.270/.373/.414). He’s capable of being 2012 Ellis more than he is 2013 Ellis, but somewhere in the middle is probably where he’ll land this season. The Dodgers haven’t gone to arbitration with a player since 2007, when Joe Beimel (who signed with the Brewers in the last couple of weeks), a case the Dodgers won, thanks mostly to Kim Ng, but also because it was with Joe Beimel. Next up is Kenley Jansen. He asked for $5.05 million, and the Dodgers offered $3.5 million (midpoint $4.275 million). It’d be really surprising if the sides didn’t agree before the hearing (date unknown). The process isn’t a fun one, and I think there’s a strong chance the Dodgers could lose. I mean, have you seen Brandon League‘s contract? 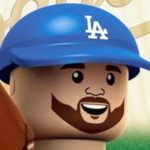 While the two don’t have a lot to do with each other (League was a free agent, Jansen is still under team control), it’s probably a good idea to keep the big fella happy. That’s already started by the Dodgers not bringing in inferior pitchers to be the closer. I could see them settling in the $4.3-4.5 million range. Salary arbitration hearings are scheduled for Feb. 1 through 21.